Michigan's Times Herald recently profiled Madison Scouts front ensemble member David Heileman. Heileman is a Blue Water Area, Michigan native. Read the complete article on www.thetimesherald.com. 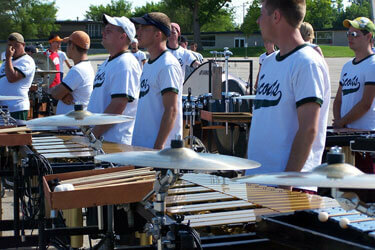 The Madison Scouts' front ensemble rehearses in Madison in early June.